We do love our Skylanders around Co-Optimus HQ. The series has been a co-op staple for years now, but the latest game, Swap Force, is the best we've seen. Don't worry, not everyone is unleashing their inner-child. 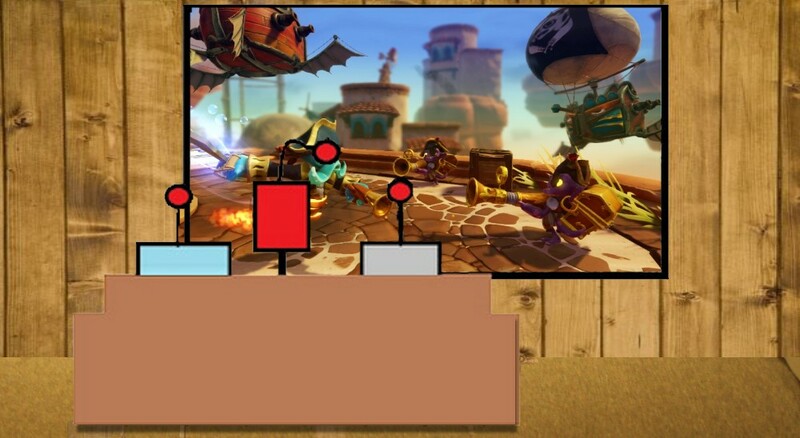 Nick Puleo (@NickPuleo) - "II'll continue my Skylanders addiction with Swap Force and maybe look for an RPG to play. Thinking it might be time to get back into Witcher 2." Mike Katsufrakis (@Pheriannath) - "I am also recovering from illness, but I will be preparing for my upcoming jury duty stint by playing Ace Attorney: Dual Destinies. I'll also fill in the gaps with more Hearthstone." Marc Allie (@DjinniMan) - "I will be playing Diablo, Marvel Lego, plus King of Tokyo. After that, I may eat a tomato or a potato, drink some Mello Yello, and practice my cello. " Jason Love (@JLove55) - "Resting up and recovering from this cold while also visiting a friend for some Magic: The Gathering and deducing who dunnit in a "How to Host a Murder" party"
Eric Murphy (@smurph_em)- "I'll be giving Defiance and/or Rift a try thanks to Trion Worlds who sent codes to all Extra Life participants. I'll also keep working on Diablo 3." Locke Vincent (@LockeVincent) -"Hearthstone, Legend of Dungeon, and How To Survive are on this weekend's bill." Tally Callahan - "I have a tabletop RPG group starting up this week, so I'll be doing that on Saturday. When I have time to breathe, I'll be playing some new board games and some FORCED that was generously gifted to me by a friend." Sam Tyler (@thereelsamtyler) - "A work weekend for me, but if I get the chance it is probably some solo experiences with Ninja Gaiden 3 and The Bureau: XCOM Declassified." Chris Metz (@The_Lemko) - "Pokemon Y. I ran into the nasty Luminoise City save glitch recently and I'm playing "catch up" with myself." John Bardinelli (@itsamejohn) - "Ace Attorney: Dual Destinies hit the 3DS eShop, and I have no objections to playing all the way through it." Justin Reynolds (@justinsocial) - "Wearing sunglasses"
Taylor Killian - "My terribly disproportionate Amazon is leaping back into the fray for more Dragon's Crown!"